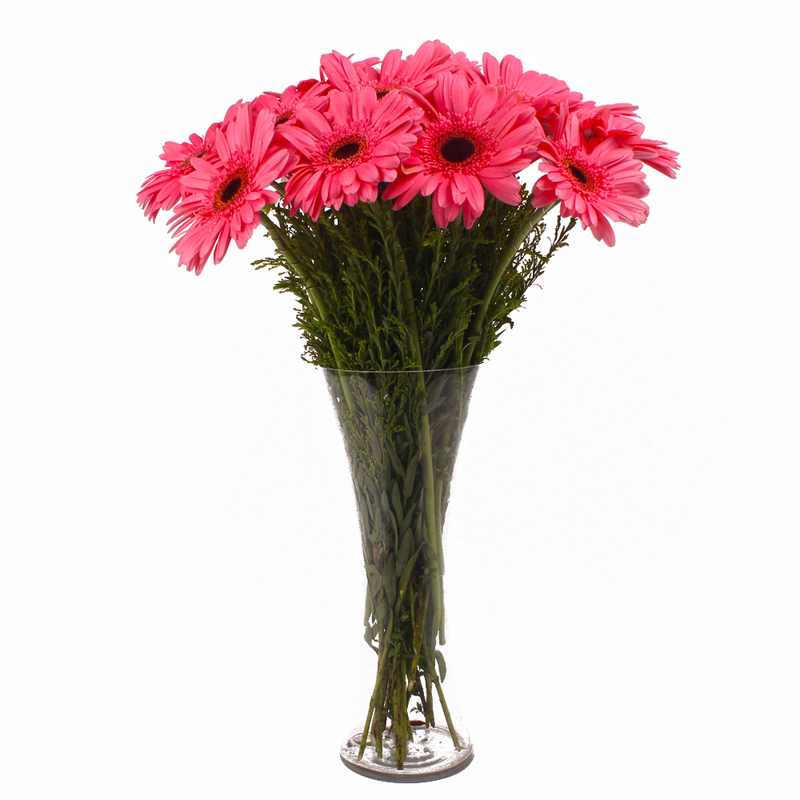 Product Consist : 18 Pink Gerberas nicely arranged in a Glass Vase. 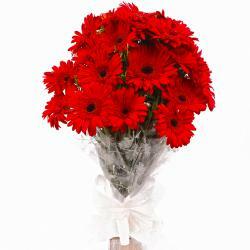 These beautifully bloomed flowers will definitely tug at the heartstrings and he / she wont be able to stay angry at you for long. 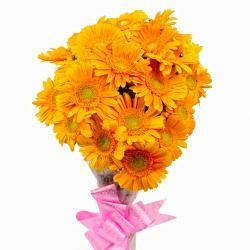 The bouquet contains eighteen pink gerberas that have been wrapped in cellophane paper and have a bow tied around them in a matching ribbon. 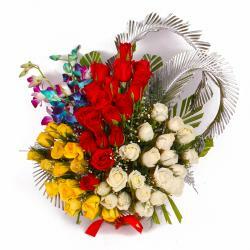 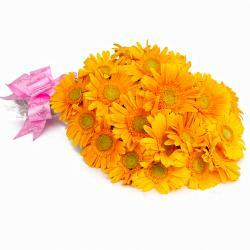 These flowers are great as a gift for Birthday, Anniversary, Just Because, Navratri, Children Day alike. 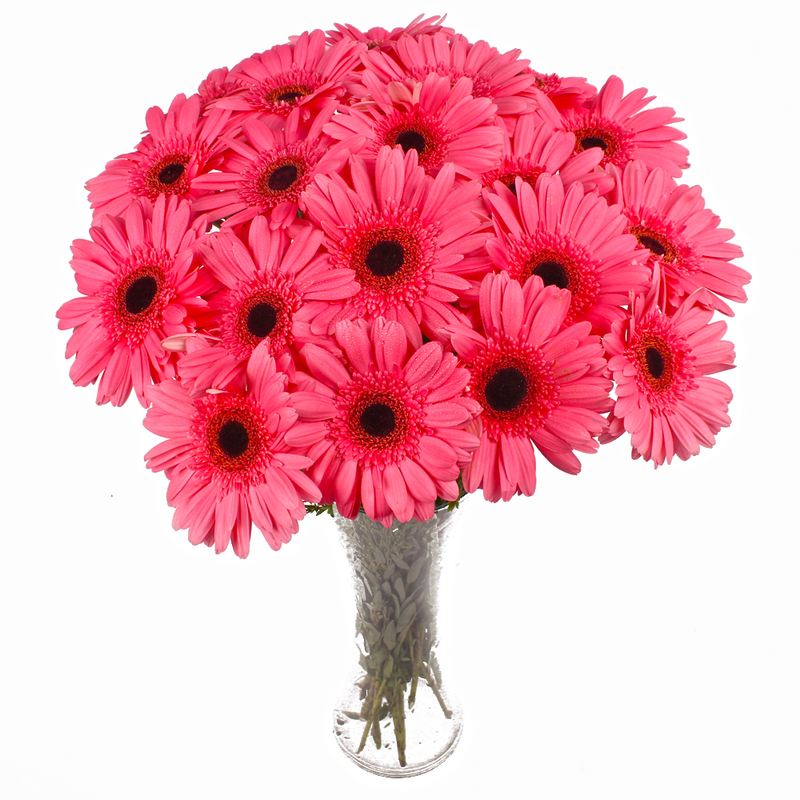 Product contains : Eighteen Pink Gerberas nicely arranged in a Glass Vase.